It’s no secret. I’ve not given Islesblogger the love and attention that it deserves, especially after giving me 11 years of a venue to write great stuff and create amazing memories thanks to the NHL and New York Islanders. I’ve written about life and everything else in this space and how everything changes. That’s just a part of growing up – much like Tavares leaving the Island (parts one two and three) in free-agency, right? Theres one more change here though – and I tried this several months ago though it didn’t work out. I am welcoming in a writer, someone else who’s voice and opinion I’ve come to know and respect. That man is JPinVA. 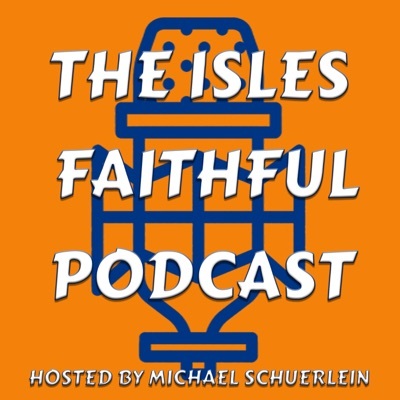 As you already know, I created The Isles Faithful Podcast back in late July and it’s been a pretty wild ride so far. In 23 episodes we’re approaching 7000 downloads and the guests and feedback have been amazing. My goal is to make the podcast and extension of Islesblogger in a sense, which is why I asked JP to provide some content over here. The funny part is JP was very active in commenting here on Islesblogger back in the day – so I am happy it’s come full circle. The other part, he’s been a frequent guest on the podcast – something I am sure will continue into the future. So, please join me in welcoming JP here to Islesblogger – a place that will see continued updates as we head into the future. It’s too exciting of a time in Isles Nation not to write and enjoy the outlets available to me!